Position Description: Handles each customer in a courteous and gracious manner with an attentive response to all customers. Maximize sales by building multiple sales i.e., clothing, shoes, handbags and accessories. Establish repeat clientele by keeping a clientele record and writing thank you notes to customers daily. Handles each customer in a courteous and gracious manner with an attentive response to all customers. Must have complete knowledge of the store’s stock in clothing, shoes, T-shirts, gifts, souvenirs, sundries, etc. Keep inventory neatly folded and organized by sizes, merchandise zipped, buttoned and hung properly, displays and shelves clean, neat and organized. Assists with inventory and receiving of merchandise. Replenish back stock to maintain appropriate levels of merchandise on the floor, ensuring all colors and sizes are represented. Communicates with manager regarding levels of stock on the floor and in back stock. Markdown merchandise as directed. Resolves problems that may arise, i.e., distribution errors, markdowns, prices, etc. Performs other related tasks/responsibilities as required to maximize store profitability in a satisfactory manner. Position Requirements: Previous customer service experience in fast paced environment and or training: or equivalent combination of education and experience preferred. 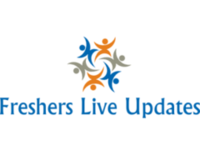 Compensation and Benefits: Pay based on Location of and Type of Store. Medical, dental/vision and life insurance available for full time employees. With over 160 stores, Marshall Retail Group is America’s largest independent specialty retailer in the casino resort marketplace. For over half a century, MRG has been providing resorts and gaming destinations with a portfolio of memorable brands, well-positioned to attract and accommodate hotel guests, visitors and local residents. In addition to stores located in casinos and resorts, we also have stores in many national airports. 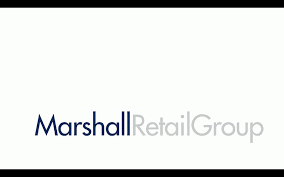 Marshall Retail Group is America's largest, independent specialty retailer in the casino-resort and airport marketplace. For 60 years, MRG has provided clients with a portfolio of attractive, successful brands that turn pedestrians into window shoppers, window shoppers into buyers, and buyers into loyal, repeat customers. The premiere retail development company currently operates more than 160 stores across the United States and Canada.